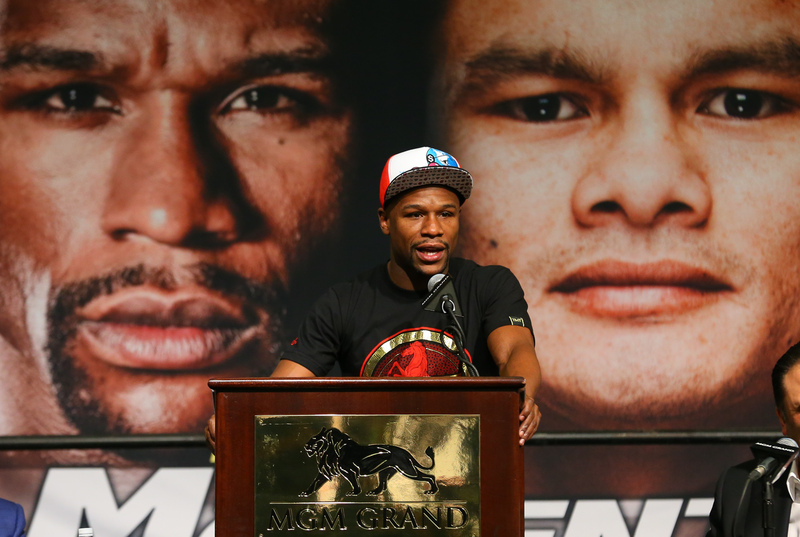 LAS VEGAS – Boxing superstar and 10-Time World Champion Floyd “Money” Mayweather (45-0, 26 KOs) held court at a jam-packed press conference at MGM Grand today to formally discuss his 147-pound welterweight world title unification bout against the dangerous, hard-hitting Marcos “El Chino” Maidana (34-3, 31 KOs) in the main event of “THE MOMENT” on Saturday, May 3 at theMGM Grand Garden Arena live on SHOWTIME PPV®. 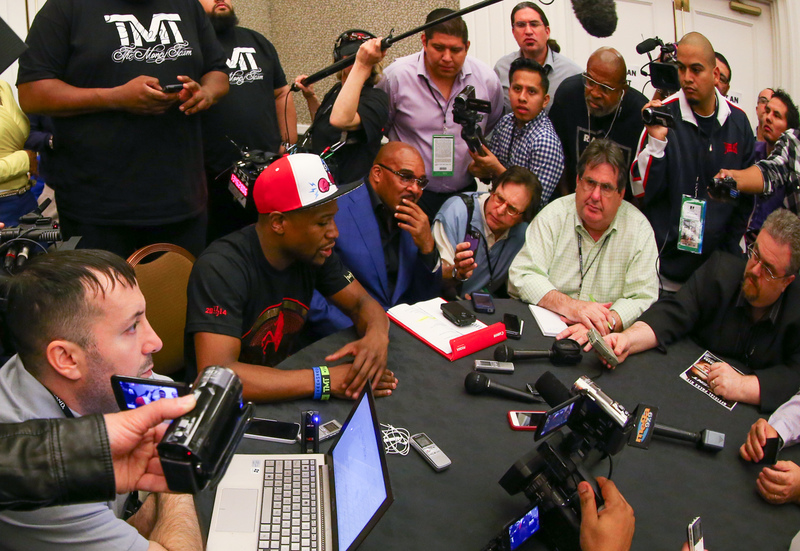 Addressing media members hours before the start of Saturday night’s “TOE TO TOE: Canelo vs. Angulo”event on SHOWTIME PPV, Mayweather touched on a variety of subjects, including Maidana, the upcoming matchup with the Argentine slugger, his future and more. 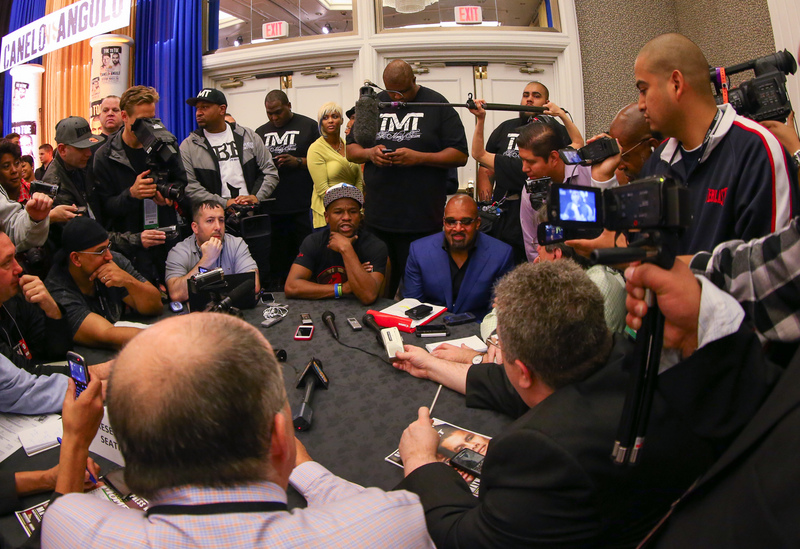 Also speaking were Leonard Ellerbe, CEO of Mayweather Promotions, Richard Schaefer, CEO of Golden Boy Promotions and Stephen Espinoza, Executive Vice President and General Manager, SHOWTIME SPORTS. 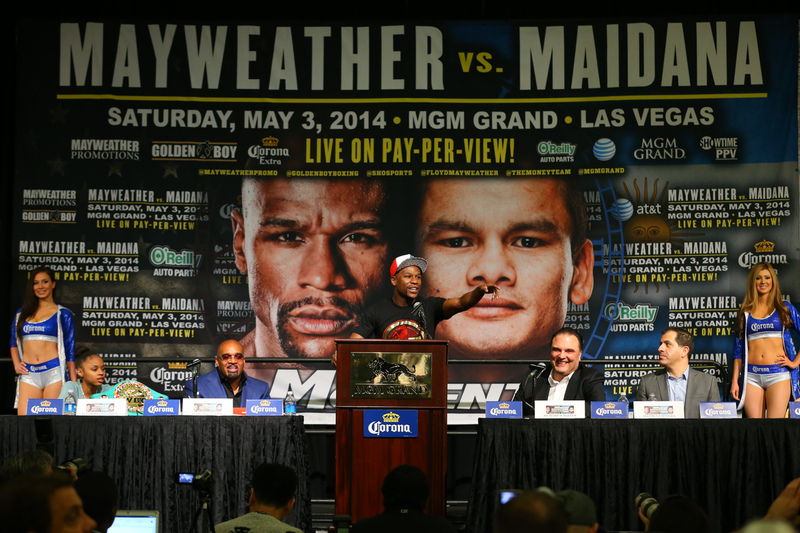 “Maidana is a young, strong and tough competitor. He’s a guy that I can’t overlook. You can never take any fighter for granted because anything can happen. “I believe in dedicating myself to my craft. This is my 18th year in the sport. I’ve had a strong run and we’ve got three more fights after this one. I truly believe in taking one fight at a time. “This was my first week out [in training camp] and we had a tremendous week. “Hopefully, some day I help some of this up-and-coming talent and promote them. Boxing is growing and is here to stay. “I’m not scared of any opponent. I fight who I want to fight. “Tonight is another marvelous show. Canelo is one hell of a fighter and Angulo is too. It’s going to be nonstop action. This is a fight not to miss. “Canelo’s a different breed. A lot of people think because of the way I made Canelo look, they’re going to be able to do the same thing, but that’s not true. He’s a strong fighter. 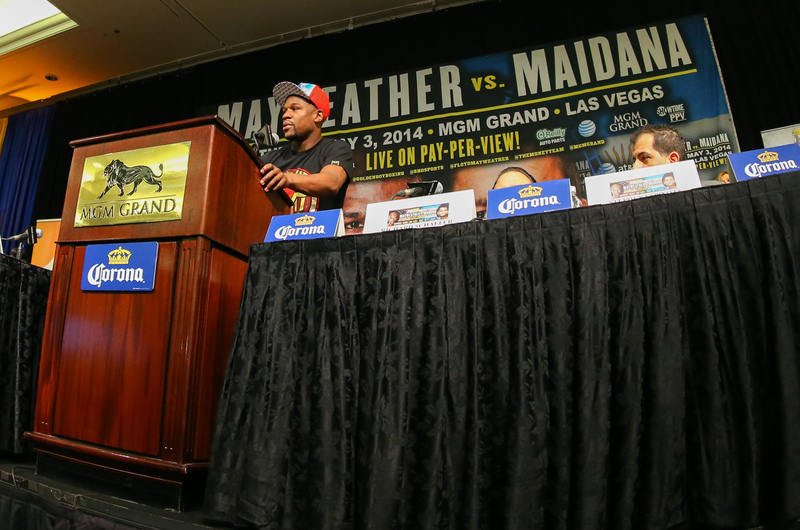 “Tonight’s fight is different than my fight with Canelo back in September. They [Canelo and Angulo] have great styles and styles make fights. This fight is tailor made to be a war. “I fight myself. I don’t fight to break Ali’s record or Sugar Ray Robinson’s record. I fight to please myself. I know in my heart where I’m rated. I didn’t fight in Ali’s era. This is my era. “I don’t know who my three next opponents will be. A lot of people ask me that. You want to fight me? Earn it. “I’m a strong critic of myself. I’m really hard on myself. Even with the Canelo fight and the fight before that fight, I wasn’t happy with my performance. I haven’t reached my peak yet. I know I can do better. “I’m a firm believer that before you can go anywhere, you have to conquer the level that you are at, just like young kids do it today with video games, they have to finish one level to go to the next one. Conquer one level at the time, and only then you’ll get where you want to go to. “I always say that I’m a clean athlete and that I should be randomly tested anytime, urine and blood. “In 1998, Floyd and I won a title in the same year in the same weight division. Sixteen years later, I’m training my fighters to fight him and he’s still a champion. That is hard to believe. 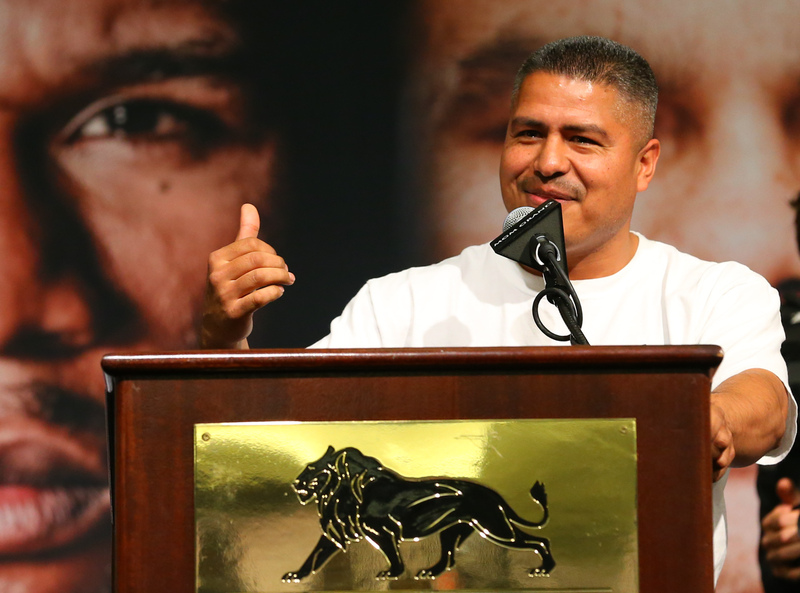 “Our guy Maidana earned this fight. I want to thank Mayweather for taking this fight. 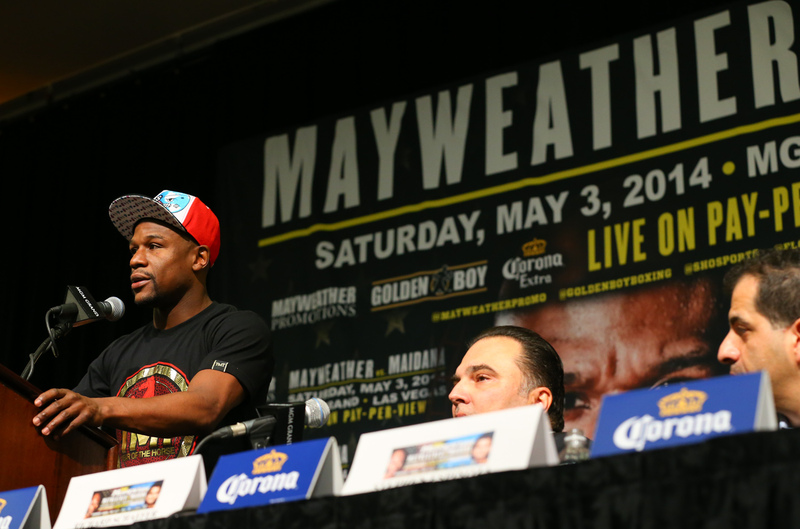 “There were other names out there, but Mayweather is a boxing person and he made the right choice. 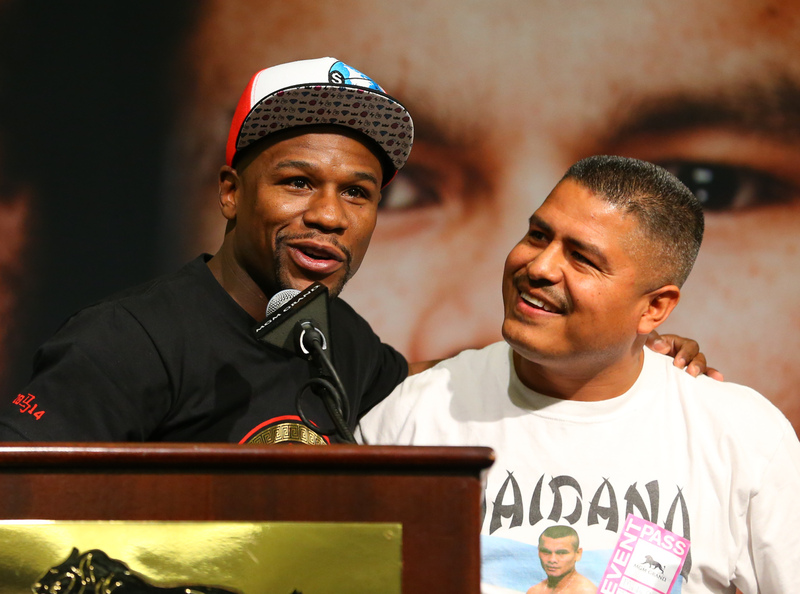 I think Maidana earned the right to fight Floyd. He’s going to come out and do his best. Just like he did against Adrien Broner. 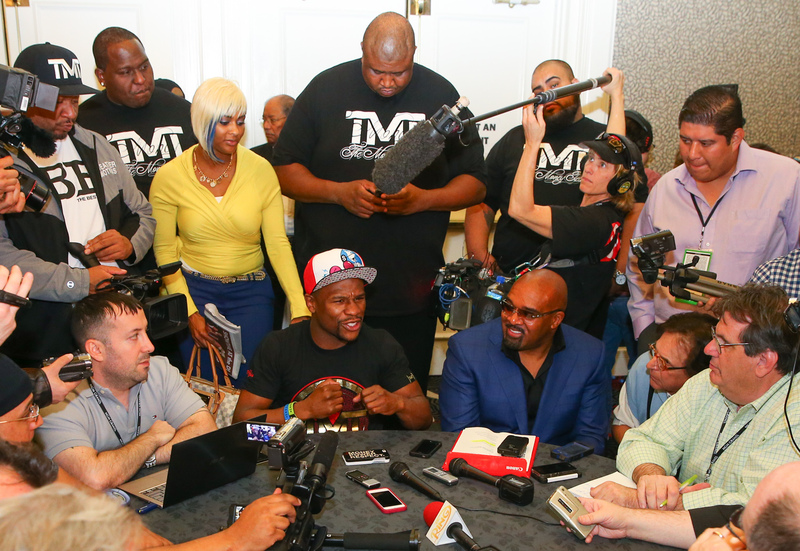 “Broner was supposed to be the next great thing. What Maidana did to him was something that no one believed could happen. It takes hard work and dedication. 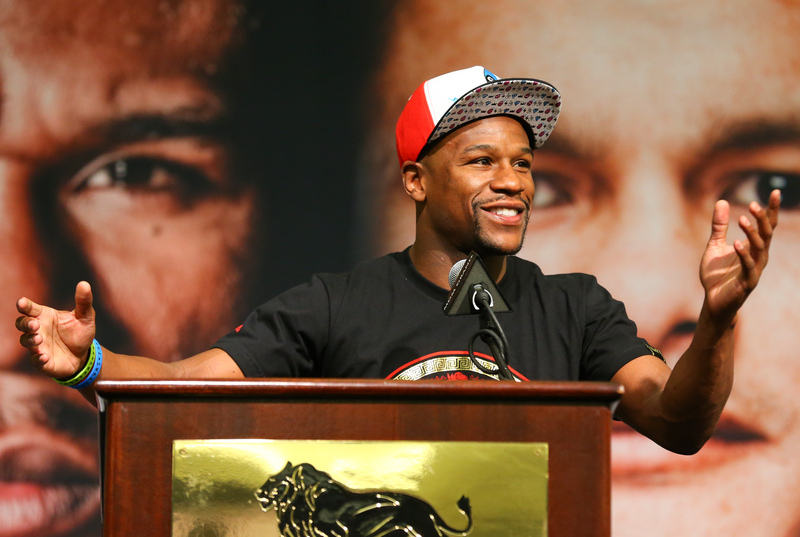 “Floyd Mayweather did it again. He picked the most dangerous opponent he could have. 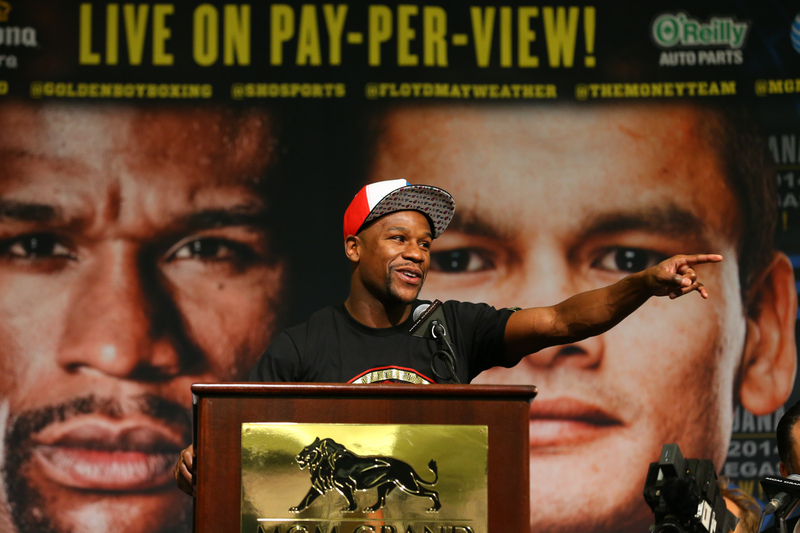 “It’s going to be a thrilling fight. Maidana is ready and he’s going to come to try to knock out Mayweather. 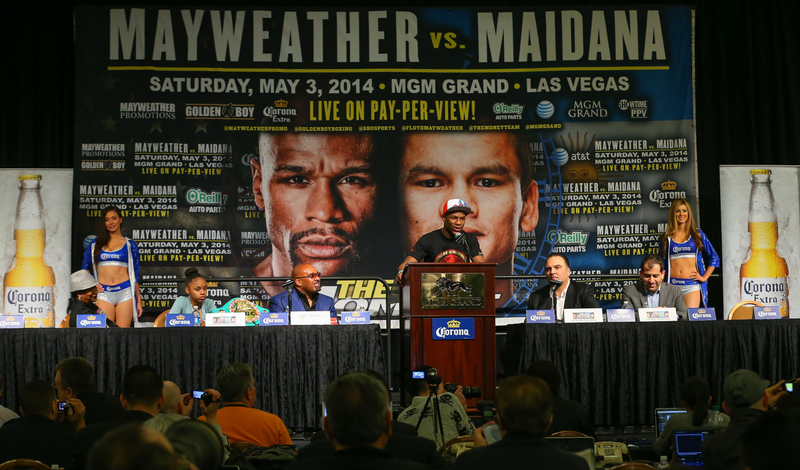 “Maidana’s a tremendous fighter. 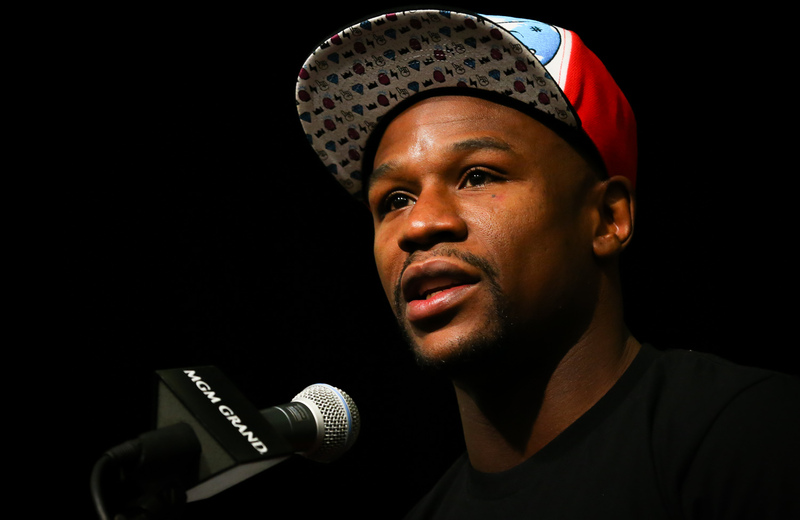 He can crack with either hand and Floyd is going to have to be at his best to beat him on May 3. [On the Mayweather Promotions opponent poll] “Floyd has over 11 million followers across different platforms, all of those were taken under consideration. “On the first tweet he put out, there were over 50,000 comments on the first two hours. My team and I went through all of the responses, and Maidana was an overwhelming favorite. “SHOWTIME Sports has become the home of the most compelling fights and the biggest events in the sport of boxing. 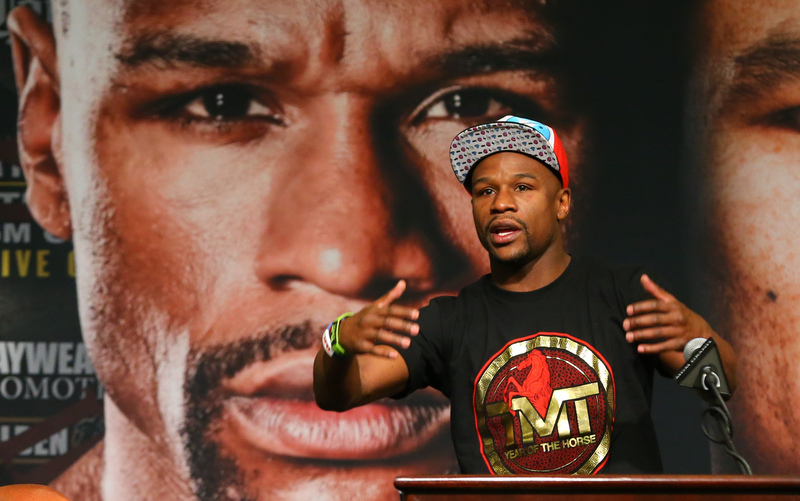 And there are no bigger events than those featuring Floyd Mayweather. “THE MOMENT: Mayweather vs. Maidana,” a 12-round world championship unification bout for Mayweather and Maidana’s respective 147-pound titles, is promoted by Mayweather Promotions and Golden Boy Promotions and sponsored by Corona, O’Reilly Auto Parts and AT&T. The event will be produced and distributed live by SHOWTIME PPV (9 p.m. ET/6 p.m. PT) and is the third fight of a lucrative six-fight deal with Showtime Networks Inc.
Tickets priced at $1,500, $1,000, $750, $550 and $350, not including applicable service charges and taxes are on sale now. Tickets are limited to eight (8) per person with a limit of two (2) at the $350 price range. To charge by phone with a major credit card, call Ticketmaster at (800) 745-3000. Tickets also are available for purchase at www.mgmgrand.com or www.ticketmaster.com.